几乎全澳大利亚的大城市机场都能使用，包括：Sydney, Melbourne, Brisbane, Adelaide, Perth, Canberra and Gold Coast. 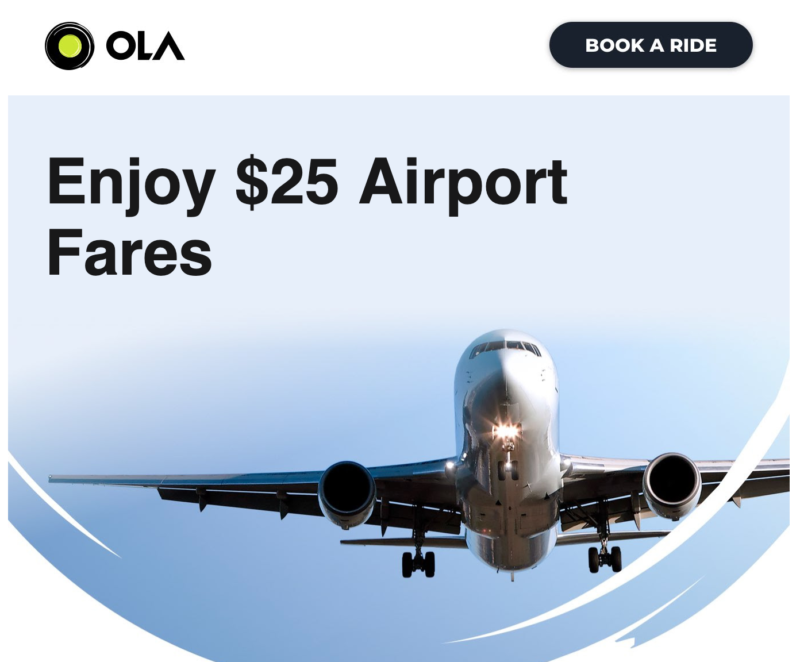 T&Cs – *Offer applies as a $25 flat fare or standard fare to/from the airport, whichever is less. If your ride exceeds 20km, the remaining distance will revert to our standard fare. Offer expires 30 April 2019. Flat fare excludes tolls/third-party charges and variations may occur in peak periods.